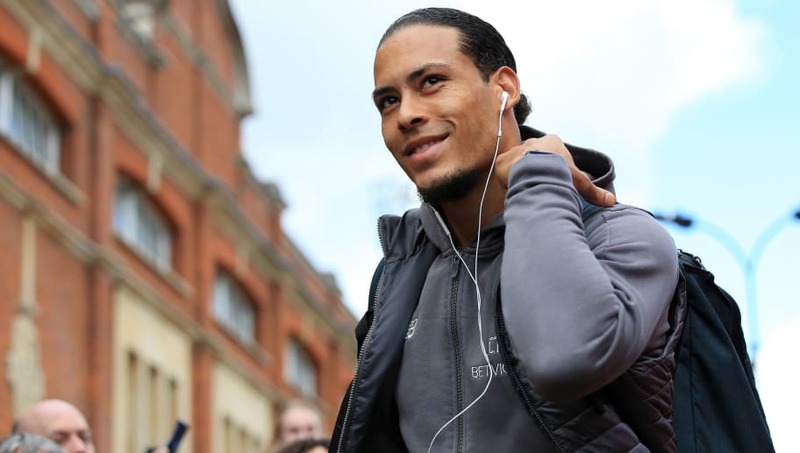 Liverpool manager Jürgen Klopp insists that defender Virgil van Dijk "trained normally" ahead of their Premier League clash with Southampton this weekend. The Netherlands international appeared to pick up a knock during Liverpool's 2-1 win over Tottenham after a collision with midfielder Moussa Sissoko, while some believe that van Dijk picked up the knock in the celebrations after Toby Alderweireld's decisive own goal. Regardless of how van Dijk picked up the minor injury, Klopp doesn't believe that the Dutchman will be forced to miss any game time and has confirmed that the 27-year-old trained as normal on Tuesday. "Quite good. No major concerns," Klopp said about Liverpool's injuries, quoted by the Press Association's Carl Markham. "Virgil van Dijk trained normally yesterday in a second recovery session. "He is so important to us not only as a player but a person." Liverpool secured a 3-0 win over Southampton earlier this season but it came before the arrival of Ralph Hasenhüttl, who has helped open up a five-point gap above the relegation zone, on the south coast. Liverpool haven't faced Hasenhüttl's Southampton before this weekend's fixture, and despite spending seven years at Borussia Dortmund, manager Klopp has never faced Hasenhüttl in a competitive fixture in Germany either. But the Reds do have history on their side in terms of matches against Southampton in the Premier League, winning 19 of their 39 matches dating back to the top flight's inaugural campaign. Things are much more even with games that are strictly at St. Mary's Stadium, however, as Southampton have won seven of those games compared to Liverpool's eight during the Premier League era.